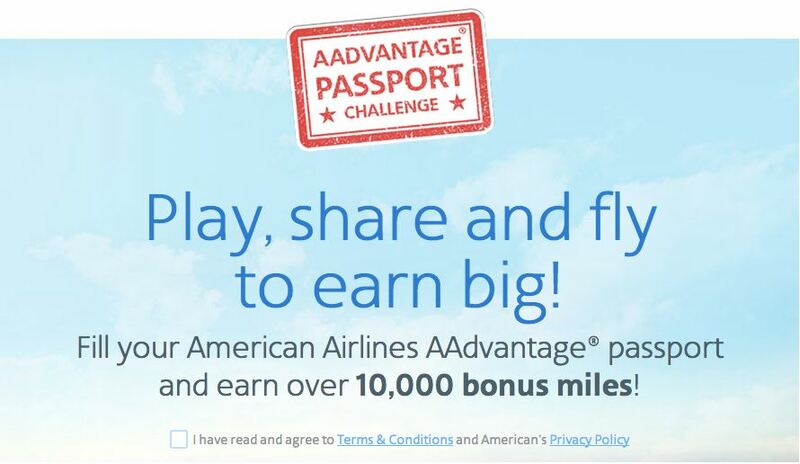 American Airlines AAdvantage Program is offering a Facebook Challenge where you can earn up to 10K AAdvantage Bonus Miles. To earn the full 10K miles you need to complete a series of trivia questions and fly with US Airways, American and OneWorld carriers. For all intents and purposes you can easily earn 1,050 miles by answering a series of trivia questions and sharing with your friends on Facebook. The additional miles you earn for flying are great if you already have travel planned with AA, but it sure isn’t worth booking a special trip for. The trivia questions are pretty straight forward and if you don’t already know the answers you can just Google them — there’s no time limit either. Going through all the trivia questions took me about 15-20 minutes and I did it while I was watching TV. I don’t know how long it will take for the points to post, but I have no reason to believe they won’t — and hell, if they don’t, it was 20 minutes out of my life. While these miles won’t get you very far – it’s always nice to get a few free miles. These miles could help you top off your account for a future award or keep your account active so your miles don’t expire.